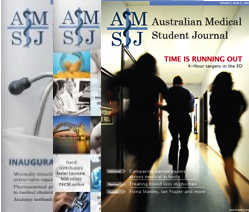 At this formative stage, the AMSJ welcomes feedback from medical students or other interested individuals regarding any aspects of its operation, including this website. Please fill out the form below. All feedback will be read and considered by AMSJ staff, and will receive a response wherever possible.